Chinese Herbal Medicine...Medicinal Herbs Are More Effective Than Nearly All Pharmaceutical Drugs! Practitioners of Chinese Herbal Medicine Are Using A System of Herbal Knowledge And Wisdom That Has Been Continuously In Use For Over 4,000 Years! Chinese Herbal Medicine Practitioners For Over 4,000 Years Have Been Clinically Confirming The Effects, The Functions And Indications (effects on the body) of Herbs On Billions of People! Such as the thermic nature (warming or cooling effect on the body). And it knows which organs are affected and what those effects are. And it understands where specific symptoms come from; that being certain specific channel problems or organ energetic problems. Finally, Chinese Herbal Medicine applies herbal understanding in a way completely compatible to its medical diagnostic and treatment principle protocol, it works so much better than drugs or even herbs prescribed by other methods. The Diagnosis And Treatment Principles And Herbal Applications Are Completely Integrated In Chinese Herbal Medicine Prescription. For example someone may have what we practitioner of Traditional Chinese Medicine diagnose as being Spleen Qi Deficiency with Dampness, a fairly common imbalance. The symptoms often include some or all of the following: a thick white tongue coating, fatigue, a heavy feeling of the body, brain fog, excessive saliva, post-nasal drip, phlegm and mucus in the lungs and sinuses, and possibly a bandage like frontal headache. The treatment principles for this dysfunction are to strengthen the spleen energy (Qi) and drain dampness, phlegm and mucus. In the Oriental Medical System of herbal diagnosis and prescription all medicinal herbs are categorized into such categories as "Herbs That Tonify Qi" and "Herbs that Drain Damp", "Aromatic Herbs that Drain dampness" to name but a few potentially applicable categories of herbs. So when we treat someone with Spleen Qi deficiency with Dampness, we choose appropriate herbs from the category of herbs that tonify Qi (specifically Spleen Qi) and some from the categories of herbs that drain dampness. We are so often guided by classic proven effective formulas in use continuously for at least 4,000 years. Let's Take A Closer Look At The Effectiveness Issue! People do not continue to do something over and over again for thousands of years right up to this present moment that does not work. Remember that great definition of insanity...insanity is doing the same thing over and over again that doesn't work, expecting a different result? Herbs have worked effectively without harm, without side effects for every patient I have ever prescribed them to. I want you to let this in...herbs do what the herbal experts of thousands of years ago said they do...no spin...no hype...no recounting of side-effects worse than what you are taking the herb for. Let's Take A Closer Look At The Safety Issue! Let me start with debunking one of the stupidest attempts to demonize the safety of herbs that I have ever heard, but which some people have a hard time seeing their way through. "Well you know you can't take herbs...no one knows if they are even safe...some plants are poisonous...everyone knows that!" "Wow, really be careful...don't eat that...whatever you do...it will kill you." "Why just yesterday I saw Mr. Lee take a big bite out of that plant...now he dead...poor Mr. Lee." "Don't eat anything that will harm or kill you." Somehow...I think even thousands of years ago they were... perhaps just smart enough to pass that information on, discuss it amongst themselves, write it down, send it via drum beat or smoke signal. What do you think? Which brings up the question of the safety of Pharmaceutical Drugs or Medicines, which is what some poorly informed optimists like to call them. Click here to read a comparison of herbal medicine vs. pharmaceutical drugs. Did you know that virtually all causes of disease or ill health are due to nutritional deficiency? For example you have a zinc deficiency or vitamin C deficiency and your immune system gets weak and can't fight virus or bacterial infiltration...you get sick flu, colds, pneumonia, etc. ...Therefore, you cannot expect pharmaceutical drugs to cure or heal any health problem since the body does not know how to properly use these alien, artificial, toxic chemical created drugs. Why is the Oriental Medical (OM) System (also known as the Traditional Chinese Medicine (TCM) Herbal System) of Herbal Prescription Better Than Simply Selecting A Single Herb for A Particular Symptom? The most common method people use in prescribing herbs is to identify a problem symptom and choose an herb that is known to reduce that symptom. Say the symptom is constipation and you choose an herb that someone told you promotes bowel movements. If you take that herb, it may or may not work depending upon whether or not it addresses the underlying or root cause of the constipation. Notice that this approach to using herbs is no different from the way MDs prescribe drugs, which basically is let's try this and see if it works. If it doesn't work, let's try this other one. What this means is that the person prescribing the herb does not understand the underlying root of the problem. This is a very wasteful and ineffectual method of prescribing herbs. Have You Ever Wondered Why, When You Read About an Herb and Take It, You May Not Have Gotten the Results that Have Been Advertised? This is related to the above question. Or you find yourself taking more than one herb at a time and getting diarrhea when you never had it before? The answer is that each herb has more than one effect on the body and what works for one person may not work for another. That is why the correct diagnosis and complete assessment of the status of your whole body is so important to effective herbal use. Herbs work best in combination in a way that balances the body. Taking single herbal remedies may work some of the time, but often just makes things worse, because a single herb usually can't balance the whole body. How herbs best work together is what makes a Doctor of Oriental Medicine who specializes in Chinese Herbal Medicine the most qualified to help you. Dr. Eichenauer...How Is Your Knowledge Different Than Say Someone Who Works at a Health Food Store Who Makes Recommendations to Me About Herbs? Not only do I practice a system of diagnosis and prescription of Chinese Herbal Medicine in use and validated over at least 4,000 years, but I have thousands of hours of study, both in class and in the years since graduating and being in clinical practice in the use of Chinese Herbal Medicine. 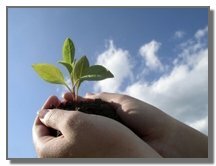 I have thousands of hours of clinical experience and work in the creation of many computer herbal databases to aid me in my formulations. Additionally, I have developed a unique system of using kinesiology (muscle testing) to confirm with your body's wisdom, the subconscious mind, the appropriateness of my prescriptions. Experience The Best of Traditional Chinese Medicine...Come To My Clinic! If you are in pain and come to Dr. Eichenauer for treatment of your pain. Here is my commitment to you. Even if you come into my office with your pain being a 10 on the 0 to 10 pain scale, I will reduce your pain. If this kind of pain relief appeals to you call Dr. Eichenauer at 941-926-4711 to schedule your appointment or for a free telephone consultation. If You Are Following The Educational Path Laid Out For You By The Holistic Medicine Detective Here Is You Next Destination! OK my dear Holistic Medicine Detective Student. You next step is to learn even more about the propaganda put out there by the profiteers from Pharmaceutical Drugs whoever they may be. This is the final show-down Herbs Vs. Drugs. Please click here to find out why the more you know about herbal medicine vs. Pharmaceutical drugs the better and the safer your health will be. Have A Great Story About Herbal Medicine...Good or Bad? Do you have a great story about this? Share it! We all will benefit. 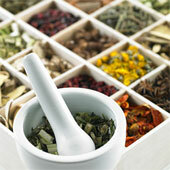 Click here to return to the top of Chinese Herbal Medicine. Click here to leave Chinese Herbal Medicine and return to my Home Page: Holistic Medicine Works!